According to IATA data, Hellmann Worldwide Logistics is currently only ranked 19th in air freight throughput in its German home market. "This result does not correspond with our ambitions," says Andreas Kujawski in an exclusive interview with CargoForwarder Global. 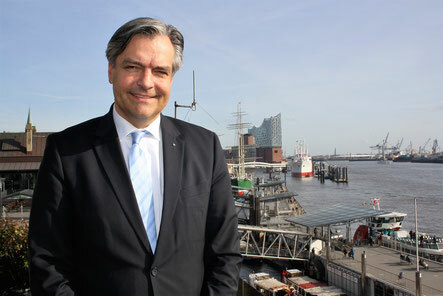 Together with his team, the Air and Ocean Freight Chief of Hellmann in Germany has set course to climb quickly in the IATA table. For 2016, Hellmann reports a throughput of nearly 70,000 tons of air freight in Germany, both imports and exports. Manager Kujawski admits that this is anything but an impressive figure, when compared with big boys like DHL Global Forwarding, DB Schenker or Kuehne + Nagel. Simultaneously he points out that in contrast to the company’s home market, things are developing far better internationally. There, the logistics company has well established itself among the top ten in air freight, reporting sales of 500,000-plus tons in 2016. To push the cargo business on Hellmann’s home turf forward, bringing it in line with the company’s global growth figures, Kujawski has adjusted some parameters, putting the focus on "specialized vertical solutions." In line with this strategy, Hellmann concentrates their activities on three sectors: healthcare, automotive and fashion. "These are the three major verticals that we identified for pushing our air freight business up fast by offering clients tailored solutions," says the manager. 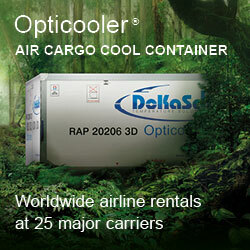 They go beyond pure air freight solutions but include multimodal transports, brokerage and warehousing. In the same breath, he emphasizes that pure volume growth is not a prime objective. Instead, it must be profitable and add value to the customer. Hellmann’s industry-centric approach, offering the market innovative products tailored to the needs of clients plays an essential role in moving rapidly up the IATA ladder. Manager Kujawski exemplifies by mentioning different transport boxes for different products developed by his company. For instance, a specific ULD for safely transporting high-quality goods like valuables. Hellmann introduced another device for securely bringing blood samples from origin to destination to be analyzed at special clinics. In the latter case, it is essential that the box has not been opened during its journey until received by the consignee. "For exactly these kinds of sensitive goods we developed a ULD that’s lockable,” reasons Herr Kujawski. "Through our special services, we can stand out from our competitors,” he says, adding to this that customers are increasingly appreciating the service add-ons. A further innovation Hellmann came up with is their "Fashion Box" aimed at transporting wrinkle-free hanging garments. It consists of a normal Euro pallet with a hardboard top placed on it. It can be folded up after the box has been unloaded and consequently flown back as a fairly small item, needing only little space aboard an aircraft. As far as textiles are concerned, imports dominate exports by far, says Mr Kujawski. However, this imbalance is likely to be reduced as Hellmann has just won an important tender for textile exports from Germany to the Middle East, Kujawski tells. In addition to this, he mentions a variety of value added services offered to clients. For example, the "Smart Visibility Product", which is trackable from A to Z via GPS and enables users permanent information on their product. 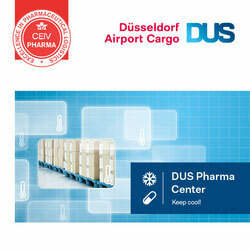 Securing the cold chain for pharmaceuticals and other temp sensitive goods by device control is another service. Advisory services offered to customers to better their environmental balance or reorganize transports for saving time and money are also part of Hellman’s service portfolio. Looking ahead, Andreas Kujawski speaks of a “significant cargo growth in 2017,” indicated by all parameters. The growth issue stands also very high on the company’s agenda for ocean freight. The market is currently changing rapidly through the formation of new steaming alliances. It will be interesting to see how the three new alliances that operate on 1. April will act in practice, for example, how the partnering shipping lines will handle the transport of dangerous goods, if on equal terms or under different conditions. Further to this Hellmann’s transcontinental product 'Rail Eurasia' is also on the go, consisting of 40 containers per journey (40 TEU). Currently, up to five departures per week from Duisburg and Nuremberg to South China are offered the market. Rail transport on the Eurasian mainline is a small, but very reliable product with steadily increasing demand. As medium-term goal of his company, Kujawski mentions two cargo trains per day from Germany to China and back. Particularly for exporting German cars to China, Hellmann has developed a special transport solution: A 40-foot container, capable of accommodating four entire vehicles. Asked about potential volume losses air freight has suffered through Eurasian railway transports Herr Kujawski stated that “cargo trains have had no influence on our air freight traffic between the Far East and Europe."